Dong Hung is a district of honourable revolutionary tradition of Thai Binh province, with a total area of over 198 km2, including 43 communes and 1 town. The district greatly contributed materials and human resources to the cause of national liberation and protection, with more than 64,000 youths and tens of thousands of youth volunteers and conscripted labourers. It has 13 collectives and 15 individuals awarded the title “Hero of the People’s Armed Forces” by the State and 774 “Vietnamese Heroic Mothers”. It should be noted that in the resistance war against the French Colonialists, Nguyen Xa commune was given the Flag “Nguyen Xa - Exemplary Village” by Uncle Ho. Those glorious achievements represent the honour and pride of the district’s Party Committee, authority, military and people while laying heavier responsibility on it for inheriting and promoting tradition to develop the hometown in the new situation. Perceiving the Party’s guidelines on performing the strategic task of building and safeguarding the Fatherland, over the past years, the district’s Party Executive Committee, People’s Council and People’s Committee have led and directed local comprehensive development. A part from a focus on socio-economic development, the district also attaches importance to strengthening defence and security, as well as to making the all-people national defence and defensive zone strong. First, party committees and authorities at all levels regularly focus their leadership and direction on building defensive zone. Grasping and executing the Politburo’s Resolution 28-NQ/TW (10th tenure), the Government’s Decrees 152/2007/NĐ-CP and 02/2016/NĐ-CP on defensive zones as well as the direction by the High Command of the Military Region 3 and Thai Binh province, the district’s Party Executive Committee and People’s Committee issued documents, resolutions, programs and plans on building defensive zone. It is noted that the district’s Party Executive Committee developed the Action Plan for the Politburo’s Resolution 28; the district’s People’s Committee promulgated the Decision 82/QĐ-UB, dated December 1st 2012, on approving the Project to build the district’s defensive zone. The Project clarified viewpoint, goals, measures and roadmap in each phase in accordance with the district’s budget and particularities. Moreover, the district keeps completing the mechanism for and regulations on the building and operations of defensive zone, while placing stress on consolidating and improving the efficiency of defensive-zone organizations, such as the Steering Committee for building defensive zone, the Council for defensive zone supply, the Council for Defence and Security Education. Notably, the district attaches great importance to promoting the core role of military and police agencies in counseling and guiding the implementation of defence and security tasks and the building of defensive zone. Under the district’s direction, the district’s military command has actively cooperated with sectors and localities in devising plans on defensive operations, plans on building, mobilizing and receiving the reserve forces, plans on expanding the militia and self-defence forces according to the states of national defence, sectors’ plans for defensive operations, plans on preventing and combating crime and terrorism. To ensure the synergy of defensive zone, make it capable enough to deal with complicated defence and security situations in peace time, and follow the motto: “district safeguards district, and commune safeguards commune” in war time, the district attaches significance to building great potential and strong posture of defensive zone. It takes political and spiritual potential as the basis, economic potential as the foundation, military and security potential as the core. To develop the political and spiritual potential of defensive zone, the district has directed agencies, sectors and organizations, particularly communes and wards, to pay due regard to the building of the party and political base, as well as the improved efficiency of state management at all levels. Besides, it has accelerated the work of propagation and communication, defence and security education to raise awareness and responsibility of cadres, party members and people from all walks of life towards the two strategic tasks of national construction and protection, particularly the task of building defensive zone. 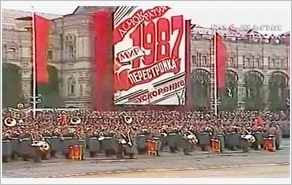 At the same time, attention has been paid to the work of policy for military rear, the “Gratitude” movement and the implementation of “Grass-Roots Level Democracy Regulations”, thereby promoting the synergy of the all-people unity block, building strong “people’s hearts and minds” posture and safe area. Dong Hung is located on the plain, with agriculture as the main economic sector. For the sake of economic development and increased material potential for defensive zone, in recent times, it has advocated the accelerated shift in economic structure and the planning of industrial zones, while actively building new-type rural area and developing high-quality agriculture. To this end, it has established mechanism and policy for the development of industries and small-scale industries with priority given to those it has potential in terms of material resources and labour, while shaping several key economic sectors which are made competitive in markets and capable to be mobilized for defence tasks, such as machining, food processing, and garment industry. It has directed offices and sectors, with Military Command and Police Office as the core, to examine the planning of economic development and construction of industrial, urban, residential zones, new-type rural area, as well as system of bridges, inter-district, inter-commune, inter-hamlet roads and tall buildings to ensure those will not affect the defence and security tasks. It has directed communes to speed up the merger of paddy fields and encouraged investment of modern technology to gradually modernize agriculture. As a result, its economy has witnessed considerable development; there has been a shift in economic structure; industry and services have seen rather rapid development; agriculture has been shifted to the model of production of high-quality goods in line with each region’s potential, serving the people’s life, reserve and export, and maintaining food security. During the process of building defensive zone, importance has been attached to closely combining economy with defence and security in the area to strengthen both potential and posture of defensive zone. The district has completed the master plan for defence disposition, the plan for adjustment of defence posture during the 2015-2020 period and beyond; initially built district-level combat and rear bases; decentralized the management of land parcels of strategic importance to defence and security as well as defence constructions. Due to a dearth of favourable elements for building defensive zone, such as mountains and caves, the district has directed sectors and communes to actively mobilize all resources to build dual-use constructions, such as the system of canals and inner paddy field roads to serve economic development and form the system of solid fortifications for defensive operations when a war occurs. Besides, it has mobilized resources and budget to build military posture according to stated plans and road maps. In spite of economic difficulty, it has invested tens of billions VND in building several crucial components of combat and rear bases, and completed underground tunnels at the Headquarters which have been chosen as an exemplar for other districts and cities to study and follow by Thai Binh province. By 2020, it strives to complete 106 defensive constructions. To improve the capability of operation of defensive zone, due regard has been paid to building strong armed forces. The district’s Party Executive Committee and People’s Committee have directed the Military Command and Police to regularly consolidate their organizational structure in accordance with regulations and each force’s particularities; to build the “elite, compact, strong” permanent forces, the “solid and extensive” militia and self-defence forces, the “large and powerful” reserve force. Great importance has been attached to making the armed forces strong politically, ideologically as the basis for the improved synergy and the core in the implementation of local defence and military tasks. Up to now, the district’s militia and self-defence forces account for 1.28% of its population; 20.07% of members of this force are party members; the percentage of the reserve force disposed in units has reached 90%. To increase the capabilities of command and coordination of the armed forces, the district has fostered the work of training and exercise, with emphasis placed on renovation of training content and method relevant to requirements, missions, projects and adversaries in the plain. In addition, the district has actively directed the organization of defensive zone exercises to enhance the armed forces’ capability of operation and the leadership, command, operation capabilities of party committees and authorities. In 2017, the district successfully conducted two defensive zone exercises at district and commune levels; acted as an exemplar of exercise by the Council for Defensive Zone Supply in the province; practiced mobilization of the reserve force; mustered petrol and vehicles for operations; shifted all the activities from peace time to war time; operated the mechanism of leadership and management of war-time military party committee and authority, which was highly appreciated by the Military Region 3 and the province. At the same time, it has strictly maintained the regulations on coordination between the Military and the Police, and the militia and self-defence forces and other forces in protecting political security and social order according to the Government’s Decree 77/2010/NĐ-CP. Promoting its tradition and recorded results, in the upcoming time, Dong Hung district will strive to build strong defensive zone, maintain political and social order, facilitate socio-economic development, making contribution to successfully performing the two strategic tasks of building and safeguarding the Fatherland in the new situation.